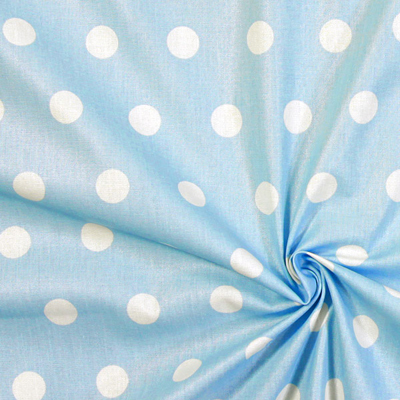 Do you want to stock up again properly on fabrics before Christmas comes around so that you've always got the right fabric stashed away for that spur-of-the-moment gift idea? 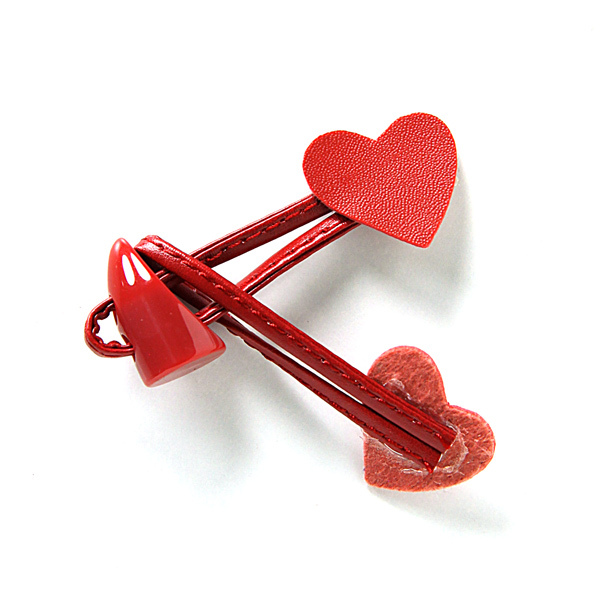 If you do, our campaign has just what you need! 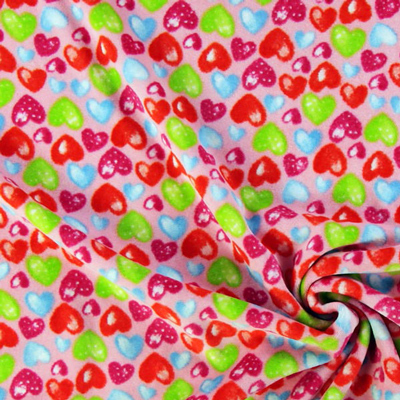 We have drastically discounted most of our cotton fabrics and will help you stock up on stars, dots, stripes, hearts and floral fabrics again. 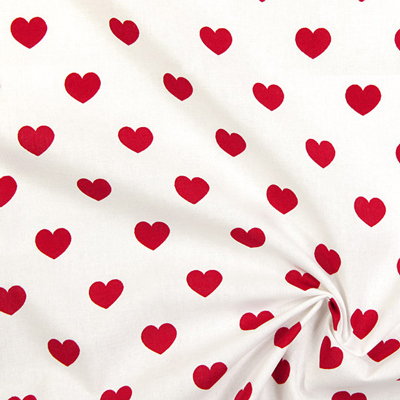 Browse now! 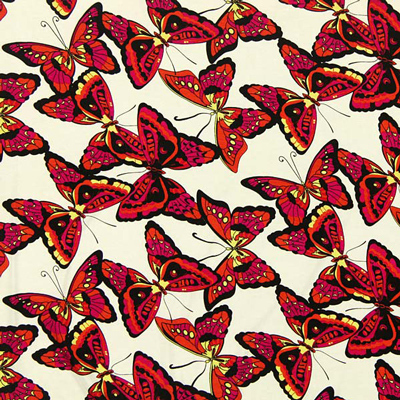 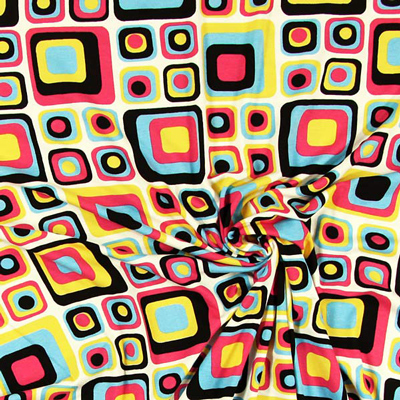 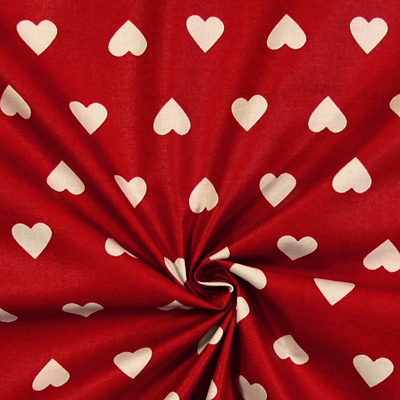 You can't go wrong at £3.50 per metre, and the cotton fabrics are perfect for sewing newbies. 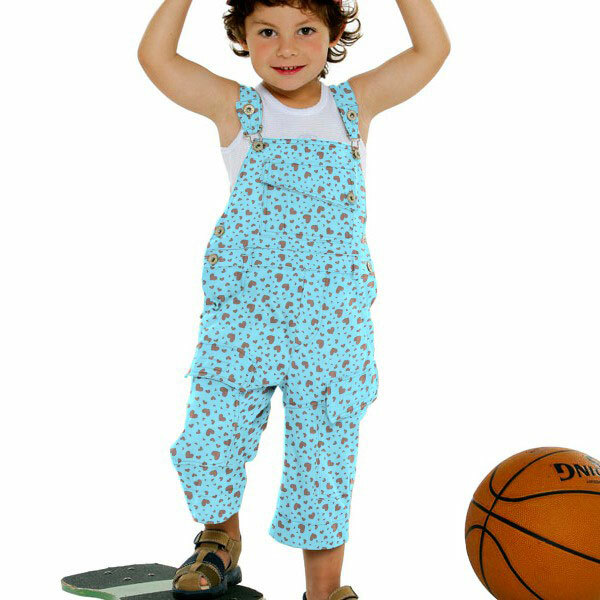 So get going! 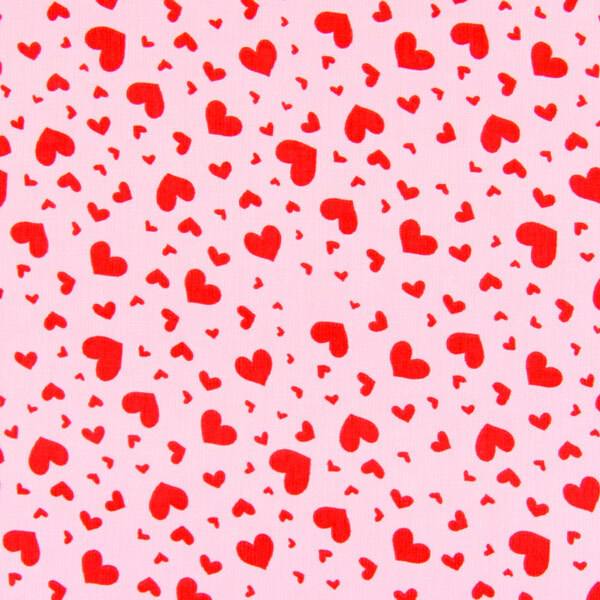 Tell all your friends right away! 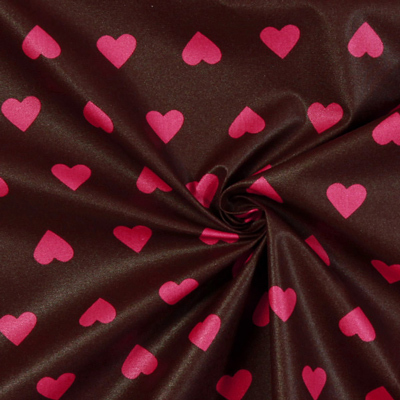 We already offer lots of fabrics with hearts, and lots of corduroy fabrics. 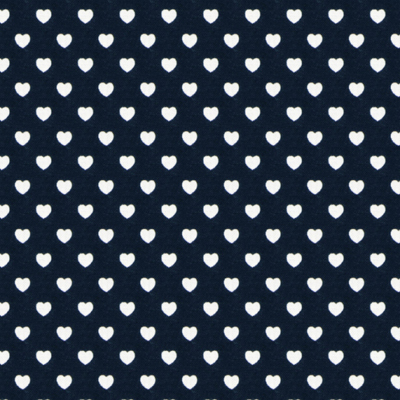 This new cord fabric with printed hearts is different, though. 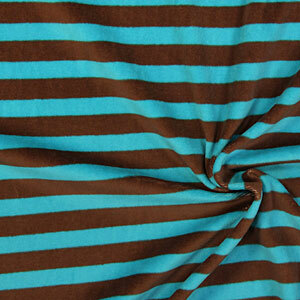 It's a fine corduroy which comes in five different colour combinations. 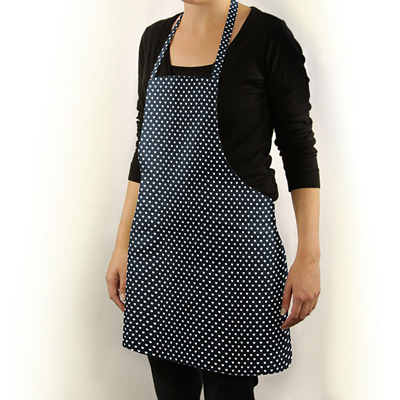 It's great for trousers and skirts that withstand a little rough play. 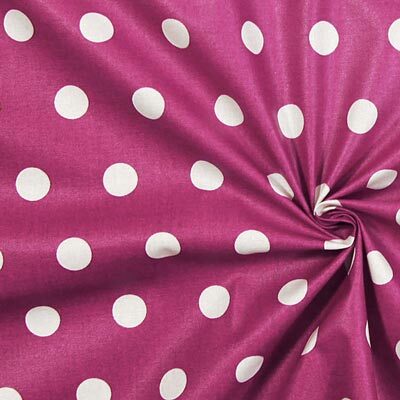 You are looking for a closure for a duffle coat you have made? 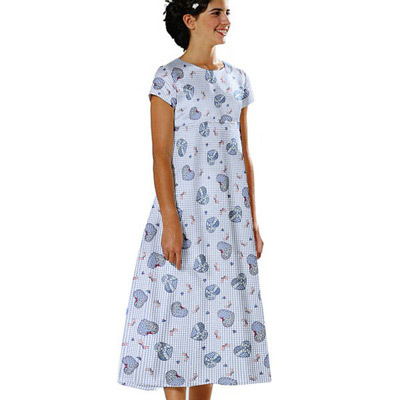 Or you would like to embellish an older model? 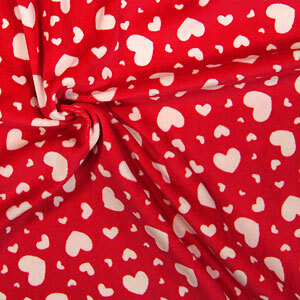 Our heart duffle coat closure is just the thing for you! 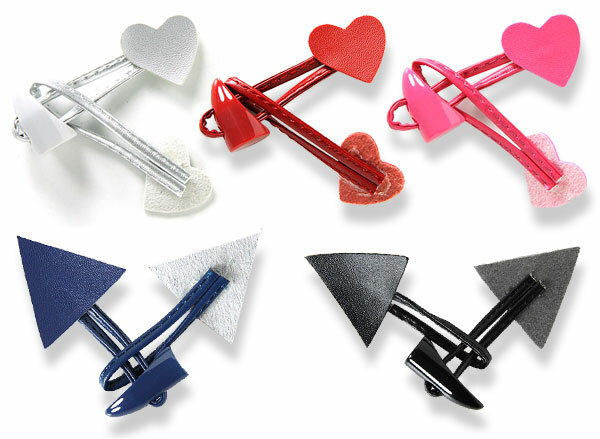 This toggle closure is available in several colours and always trimmed with a cute heart or geometric triangle! 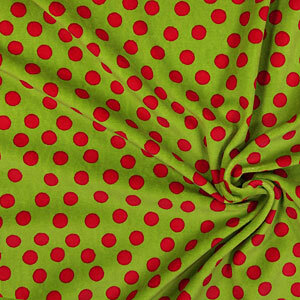 Spring is here and has brought us more than 50 new jersey fabrics! 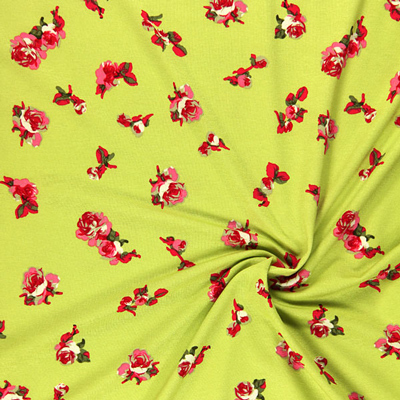 Our new jersey fabrics are vernally fresh and come in lovely colors. 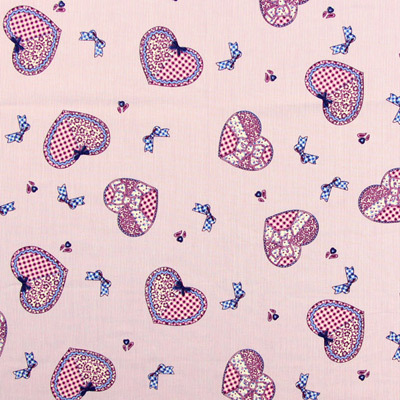 Delicate butterflies, trendy geometrical figures or playful heart design. 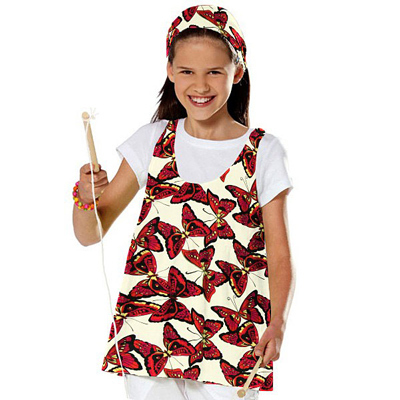 Jersey makes it easy for you to get creative. 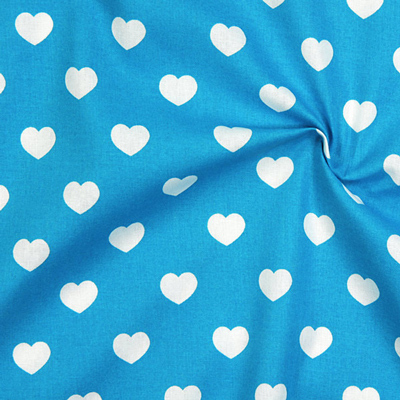 Skirts, dresses, shirts - the only limit is your imagination. 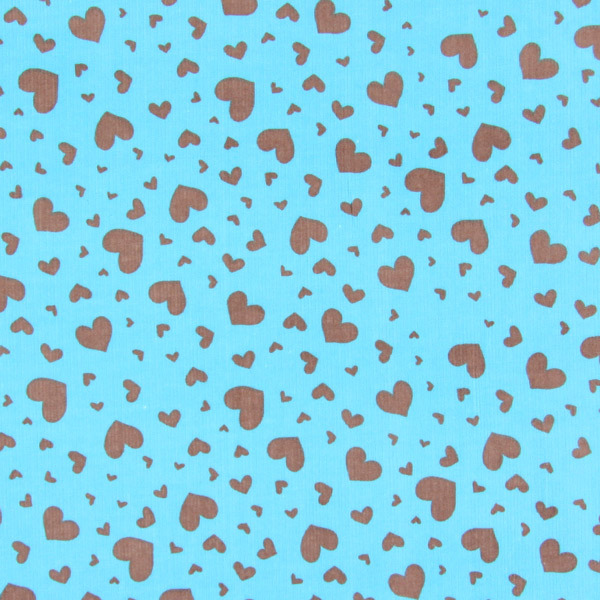 These tow new velours fabrics are printed allover with cute little hearts. 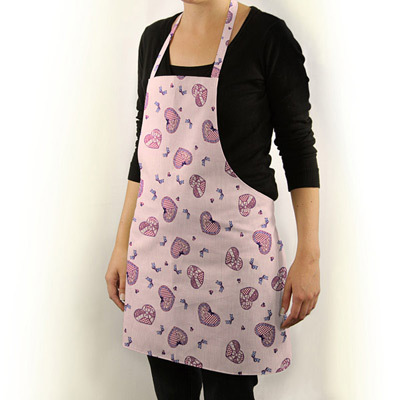 Sew your own snuggly home wear with it, like bathrobes or home dresses. 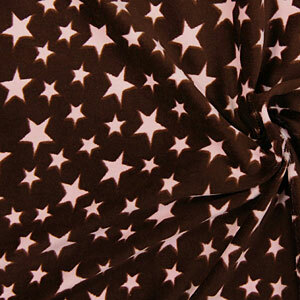 Also, kids' clothing made from this snuggly velours fabric will look just magical. 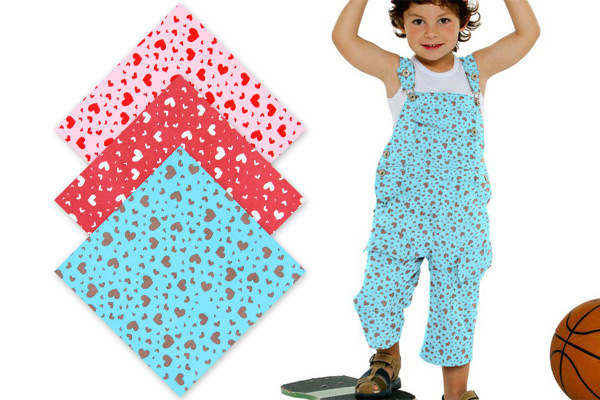 New arrival: printed children’s fabrics! 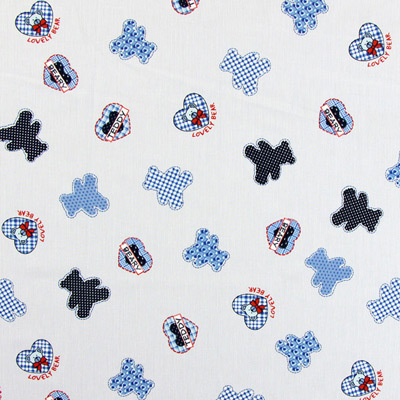 Our children's fabrics with woven-in stripes and printed hearts and teddy bears are perfectly suited for beautiful decoration and apparel ideas. 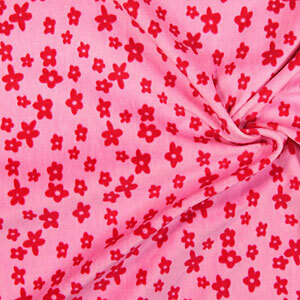 You could for example sew a slick blue apron or a pink dress from our cotton fabrics. 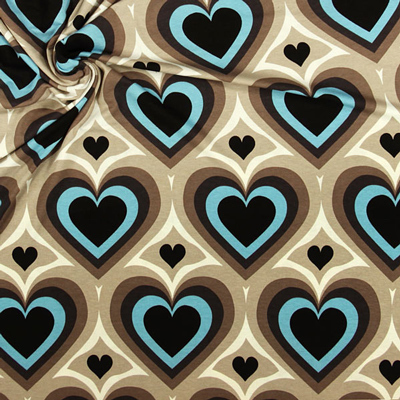 28 new velour fabrics have arrived! 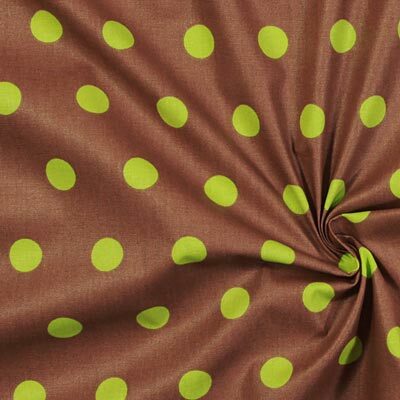 From stripes and dots to flowers and stars - there is someting for everybody among our new velour fabrics. 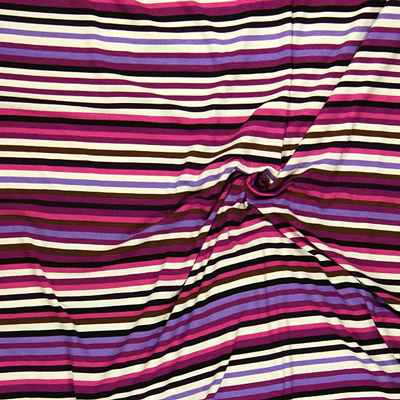 Sew a cute stripy dress for your daughter or make her new favorite pillow. 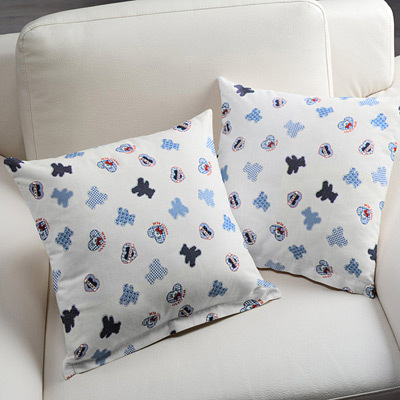 Snuggly soft and very cute! 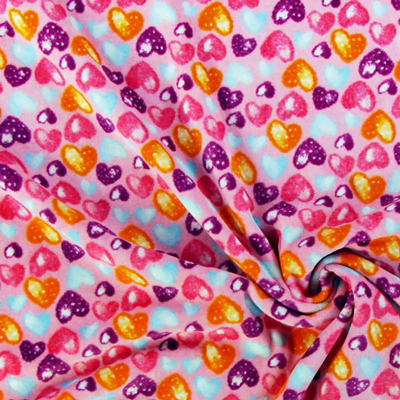 We have extended our line of cotton fabrics - which was literally close to our hearts. 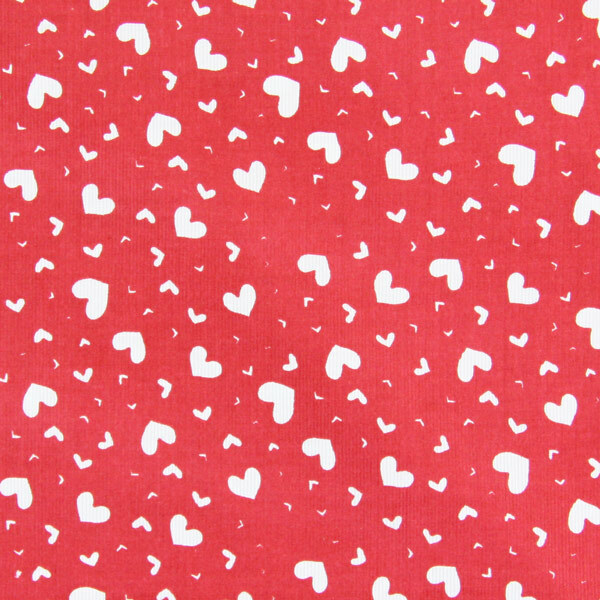 In our new category 'cotton fabrics with hearts' you will find no less than 18 new heart fabrics, e.g. 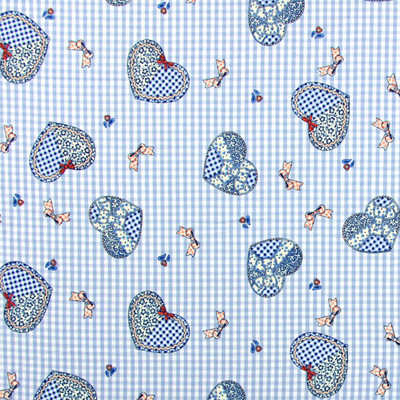 in a country house style, cotton fabrics with large and small hearts, white hearts on different backgrounds or red hearts on a dark brown fabric. 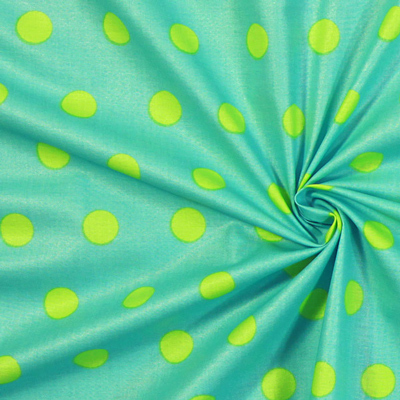 From now on you're ready for any kind of rain shower: Starting today, you'll find in our shop water-repellent fabrics with colorful designs. 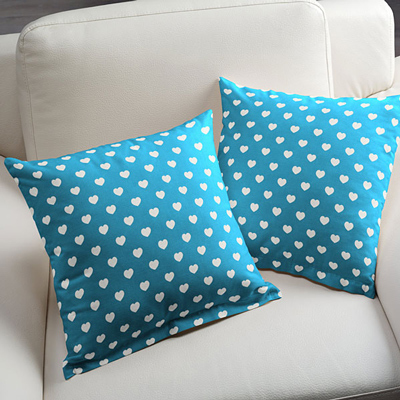 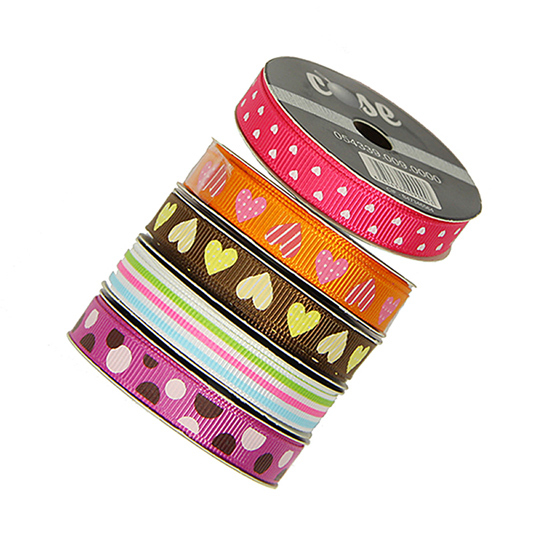 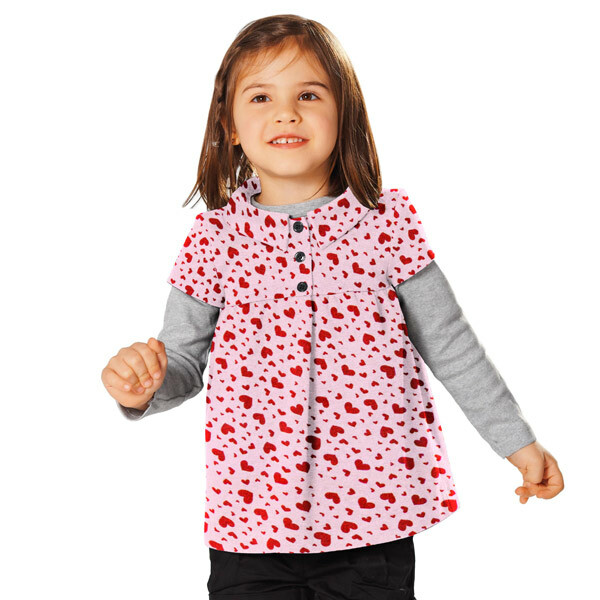 Be it dots or hearts, all of these high-quality cotton fabrics are coated twice with acrylic and teflon!